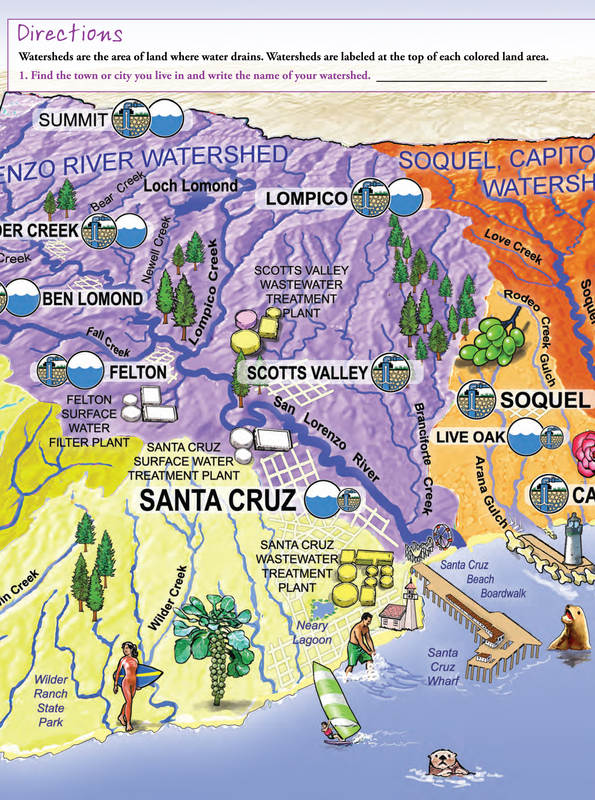 As weather patterns in California continue to get hotter and drier, our children are growing up in a new reality of increased drought and water supply challenges. 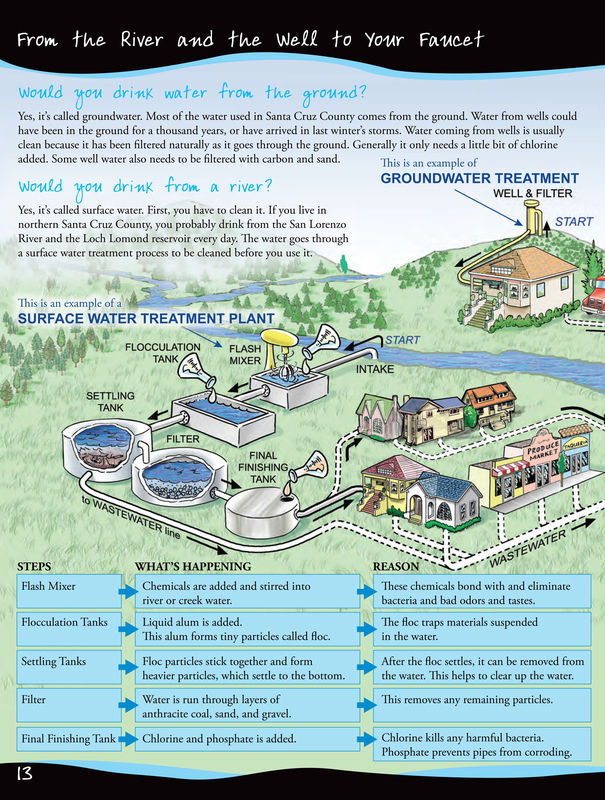 Teachers have one of the first opportunities to show their students how our local water supply systems work and to instill water conservation practices early on. We want to help you embrace this opportunity so we’re providing resources that take the guesswork out of building curriculum to tackle these essential life skills while aligning with state educational standards. 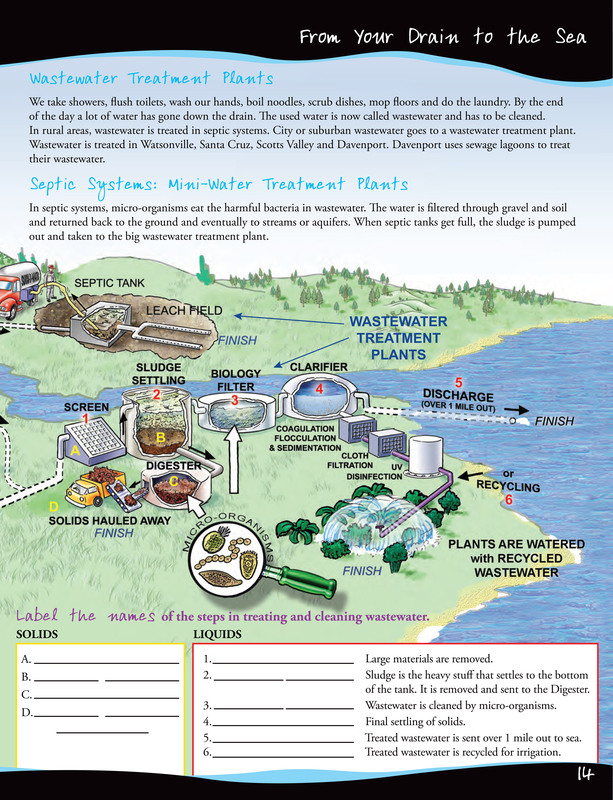 A discovery book about our freshwater resources. 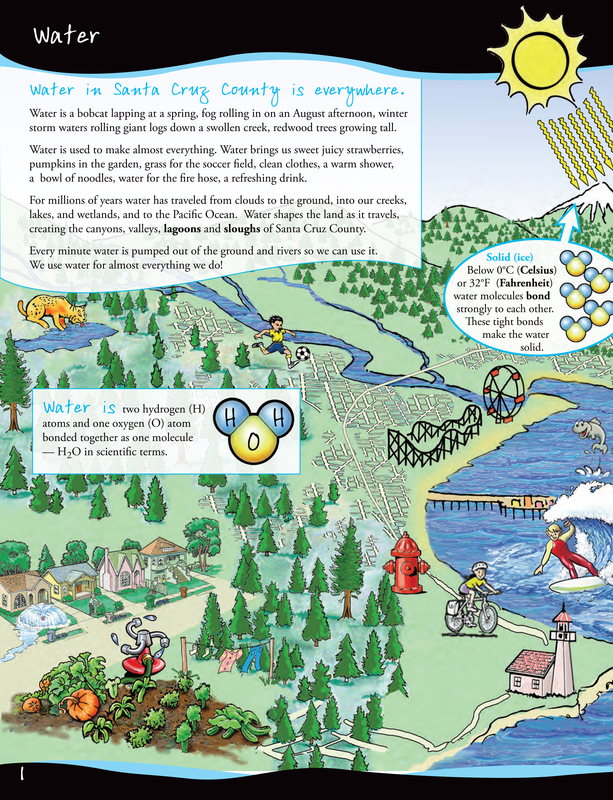 This 5th and 6th grade book is available for free for students in Santa Cruz County. It is aligned to CA educational standards and can help support existing curriculum about water. 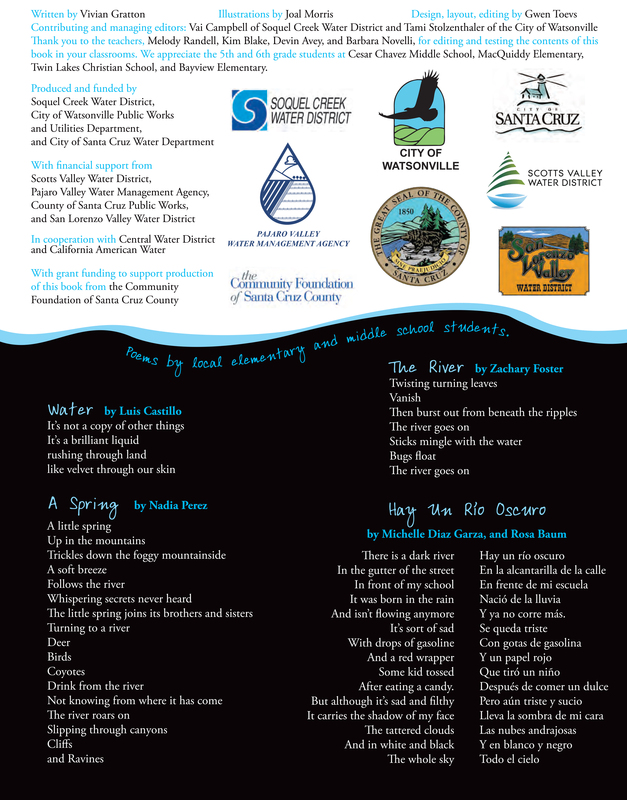 Order print copies from your local water agency or download pdfs now and print on your own. 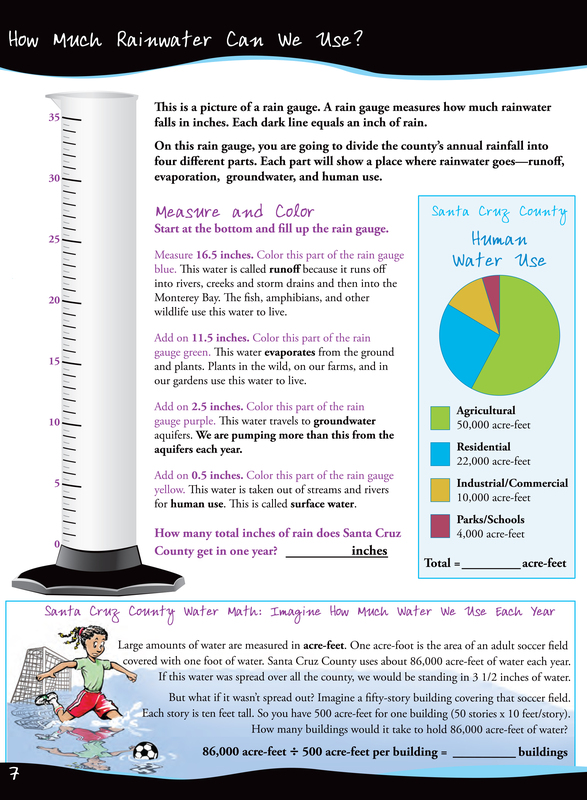 How Much Rainwater Can We Use? 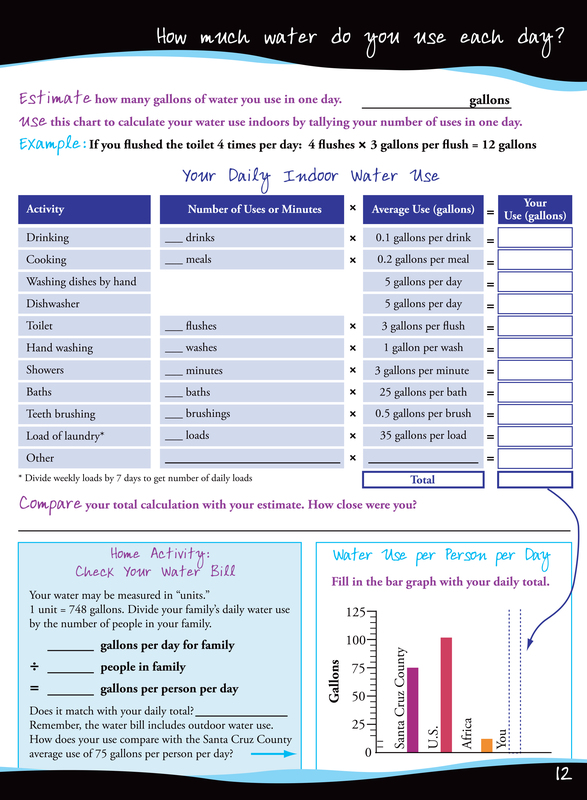 How Much Water Do You Use Each Day? Grounds for delight! 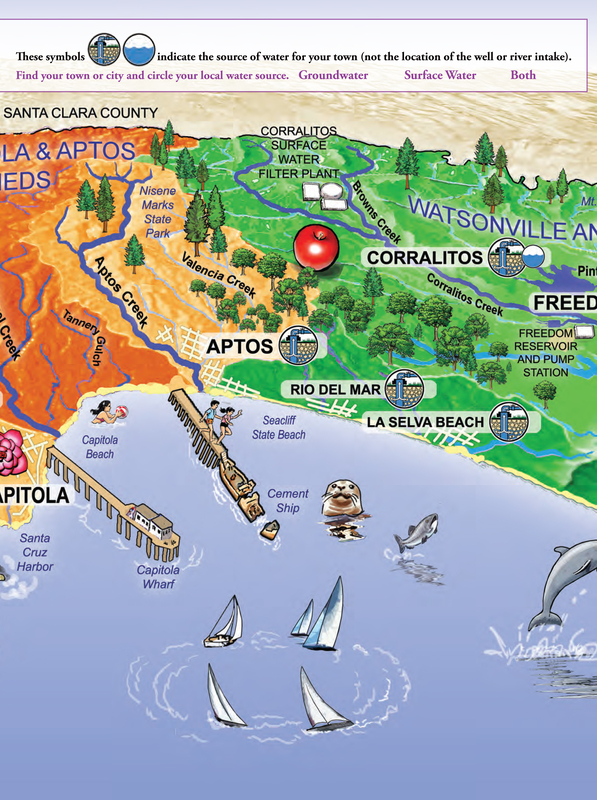 Beneath the land is a world of water for students to explore. 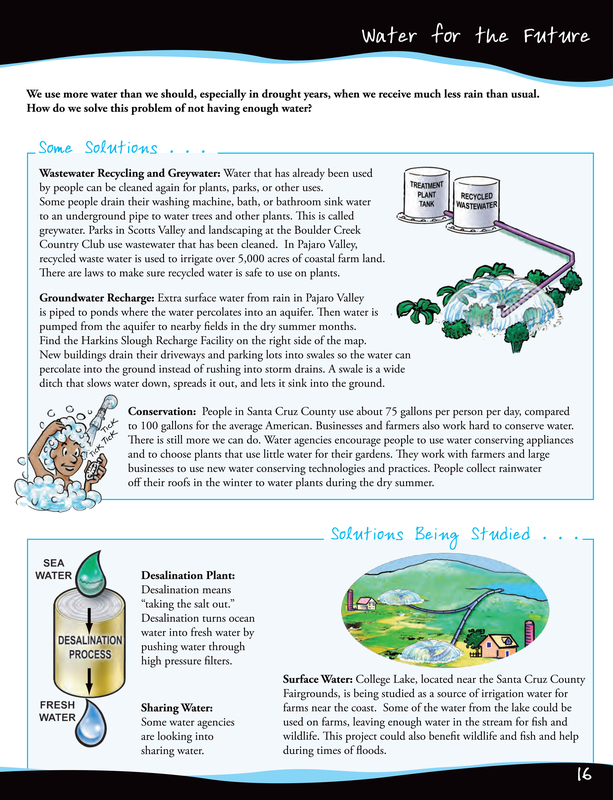 This activity booklet gets to the bottom of it with interactive lessons about water flow principles, the importance of ground water and its many uses. 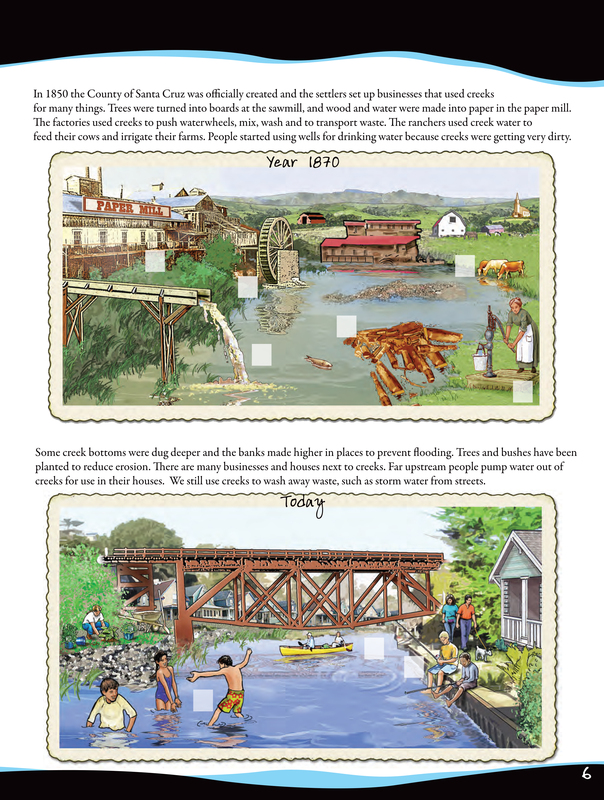 Included in this 16-page booklet is an activity insert piece. 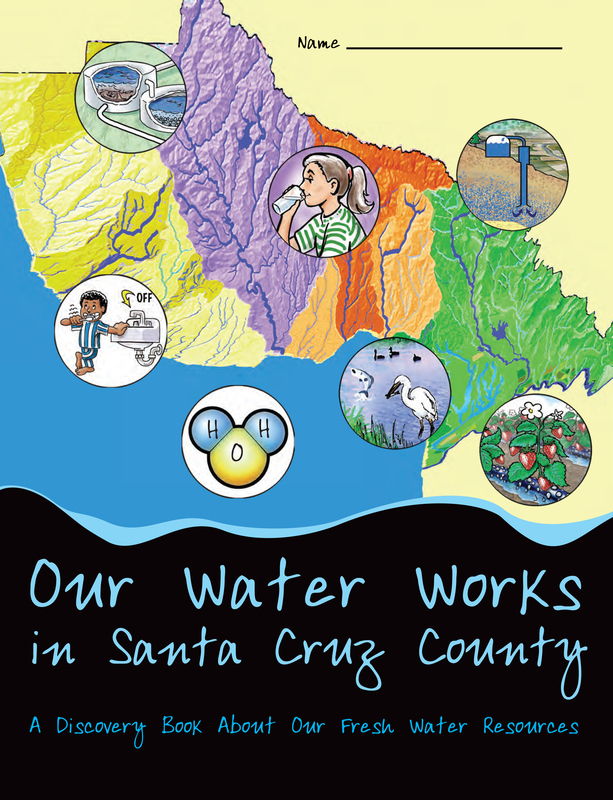 You can purchase copies of this Activity Booklet here and students/teachers in the Soquel Creek Water District area can receive free books through the Water District. 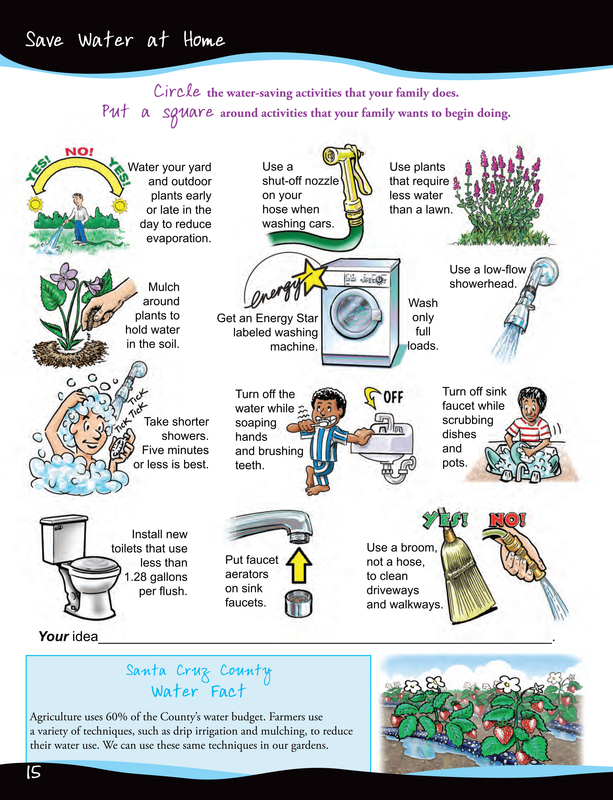 Learn more about how to use this booklet in the video below. 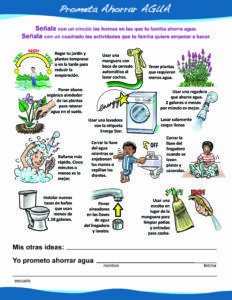 Download and use this bilingual pledge sheet to help your students commit to new ways they can save water. 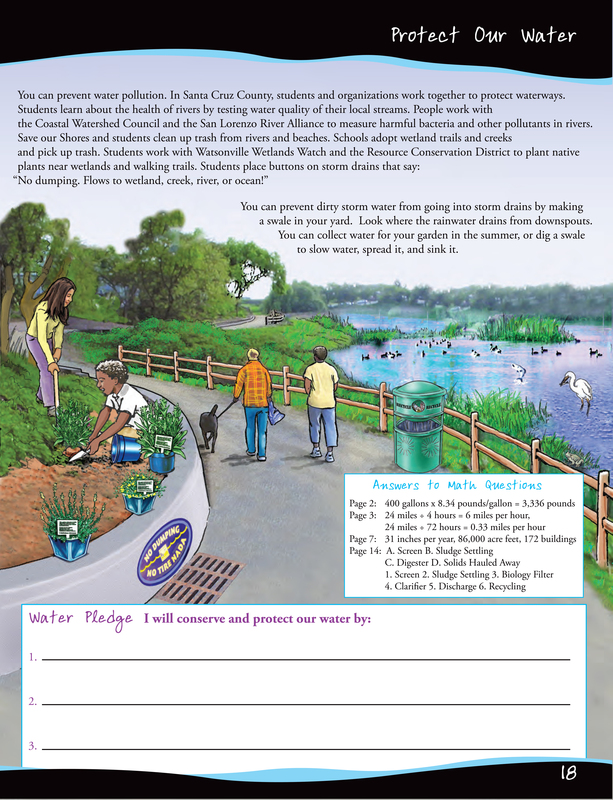 Behavior change strategies are a critical tool used to achieve environmental sustainability; public or group commitments are one of these tools that effectively increase participation rates. 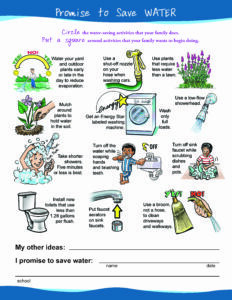 Have your students sign this pledge in class and post the signed commitments on a wall so everyone can see them. 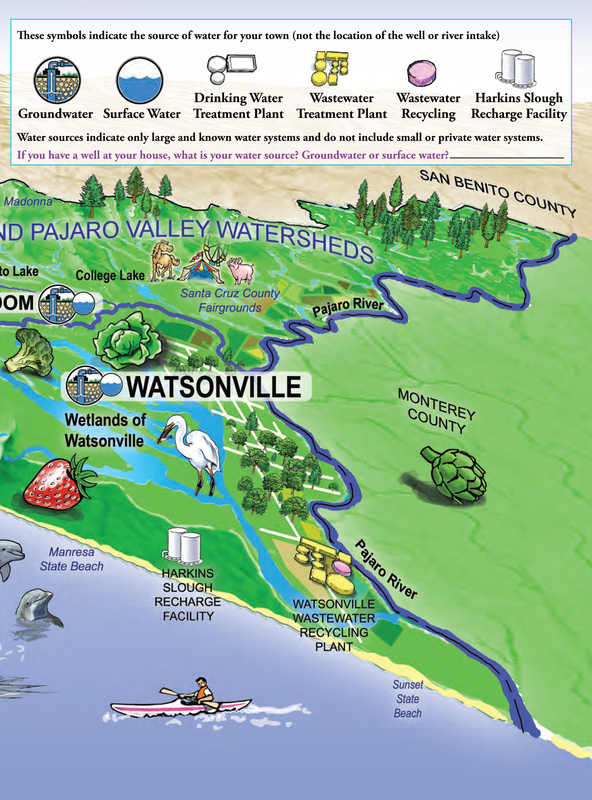 Search for environmental education resources through our local region of the California Regional Environmental Education Community (CREEC) website. 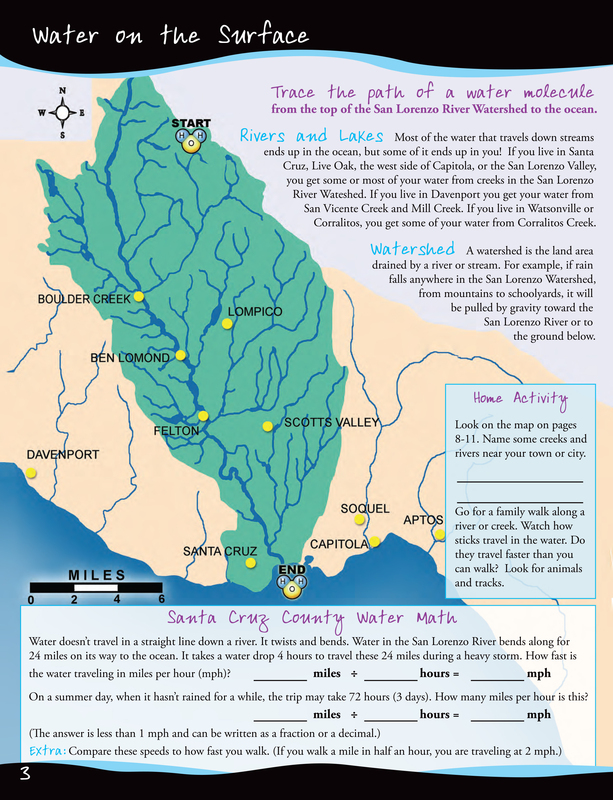 This site offers teaching materials as well as connections with local programs and events that teachers can bring into their classroom or use as field trip opportunities and more. 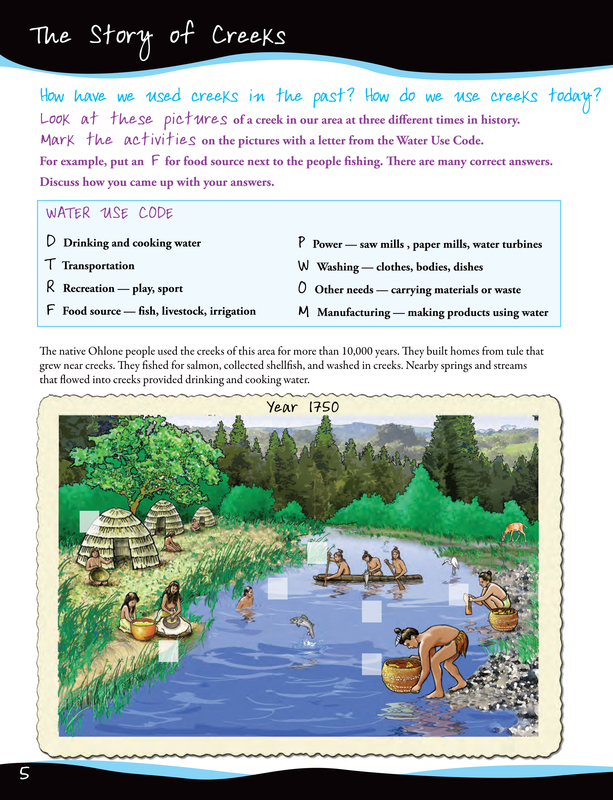 An extensive library of free water education materials including activity books, wall posters, fact sheets, classroom project supplies, teacher manuals and more. 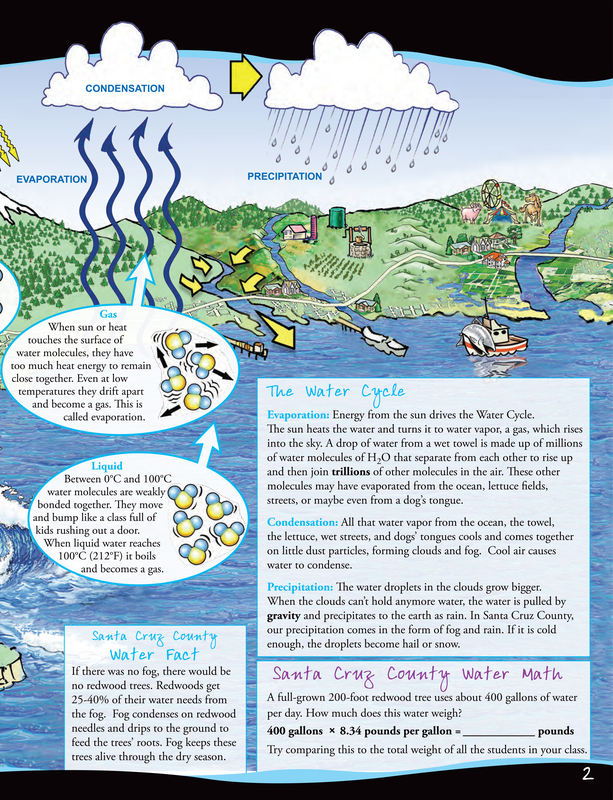 These materials cover a broad range of water related topics for grades K-12. 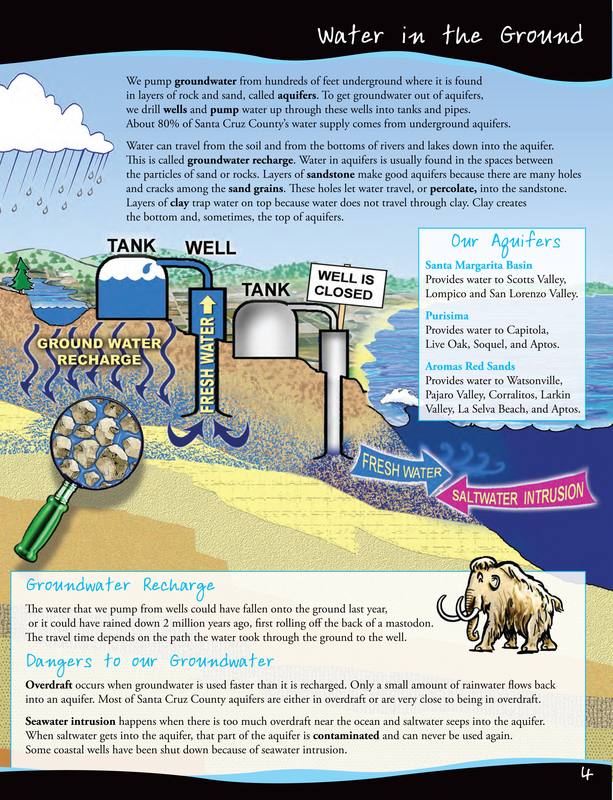 Teachers can browse the library and order free materials on the CA Department of Water Resources website. 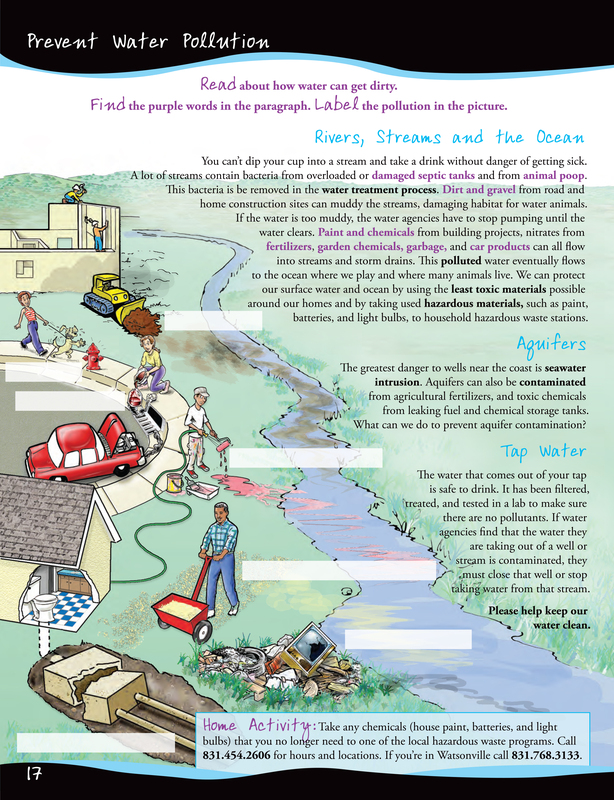 Find standards based free downloadable and printed curriculum for each grade level. 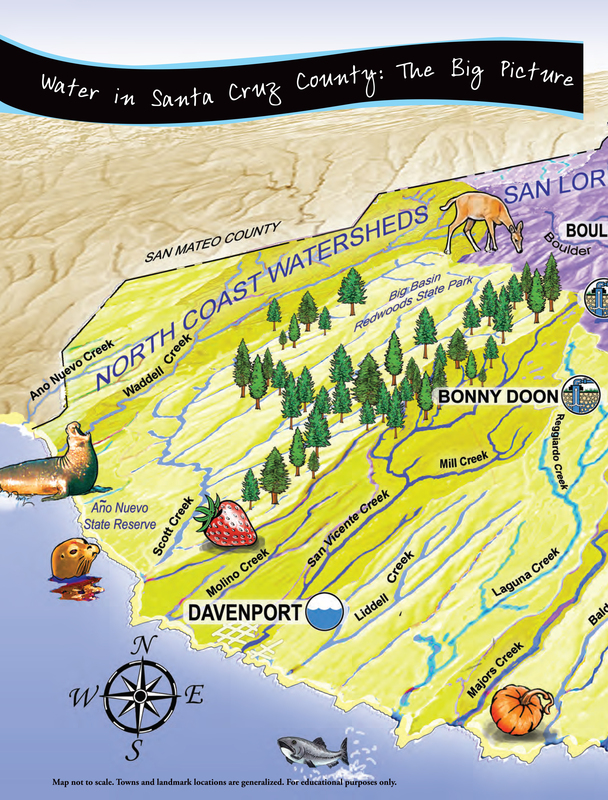 The maps that were made for the program were designed by National Geographic cartographers. 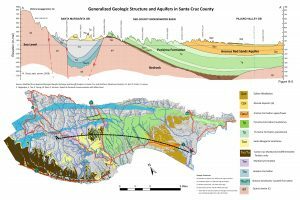 Use this generalized geologic cross section map of Santa Cruz County to illustrate how water and geology are related.